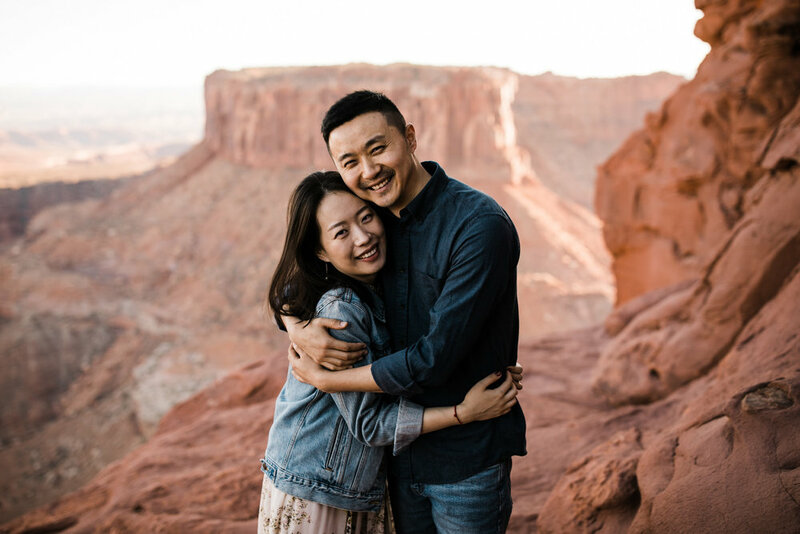 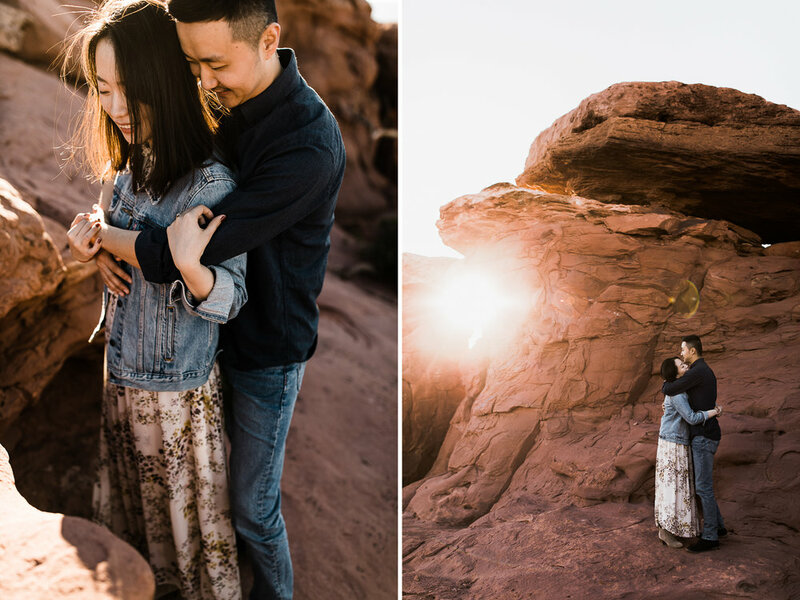 Julie + Ray came to Moab for the first time (all the way from eastern Canada!) 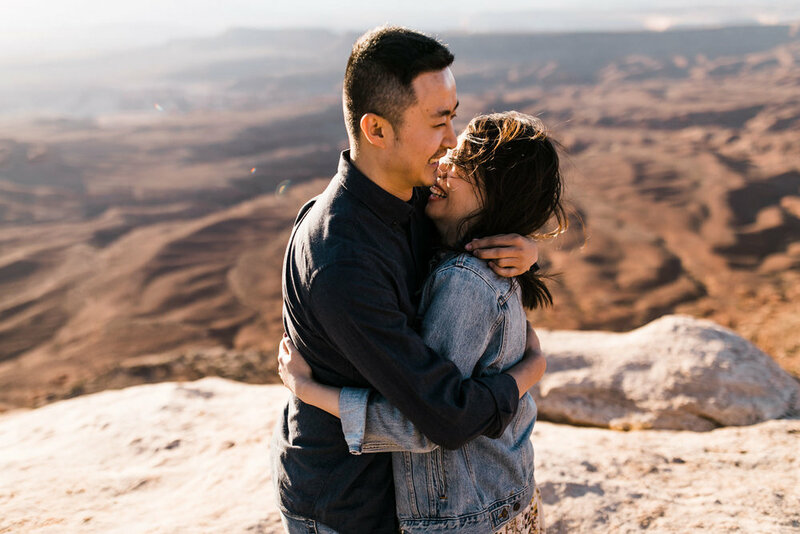 for their adventure engagement session with us, so we knew we needed to take them somewhere epic. 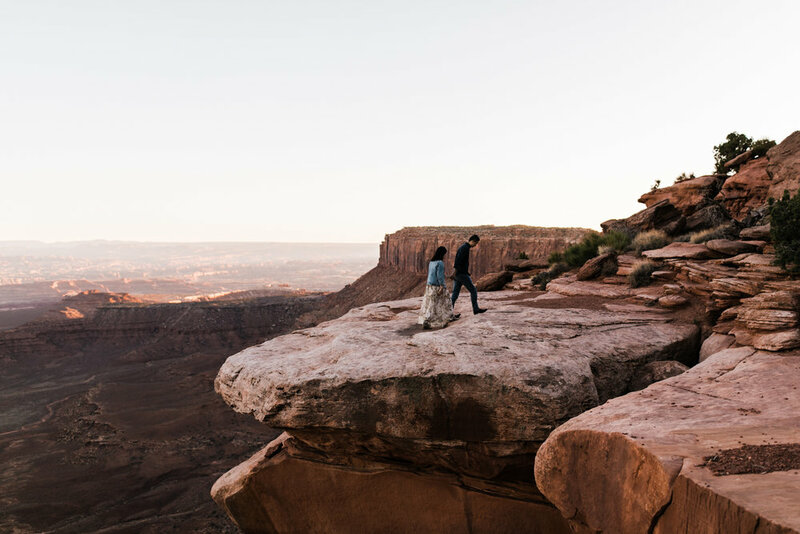 When they mentioned they wanted cliff side photos with sweeping views, Canyonlands National Park was the first place that came to mind. 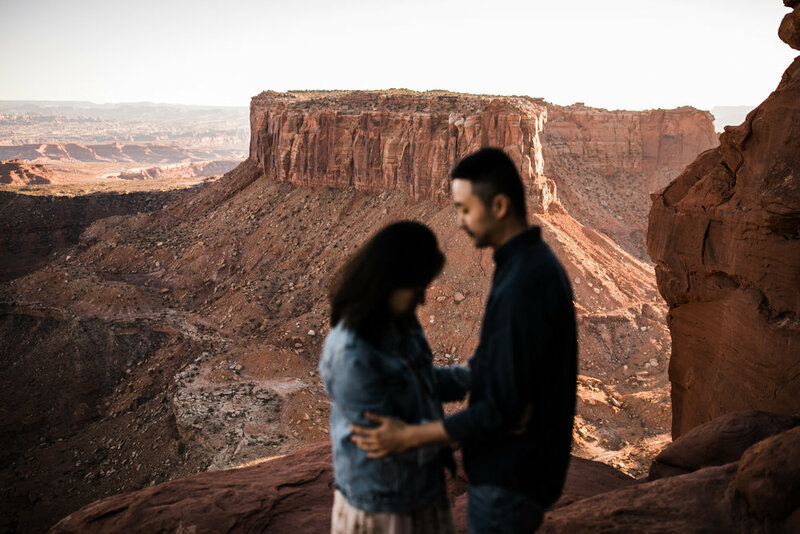 One thing I love about Canyonlands is there are quite a view big views that aren't necessary sheer cliff edges, and knowing they had never been to Moab before I wasn't sure how they'd feel about the exposure. 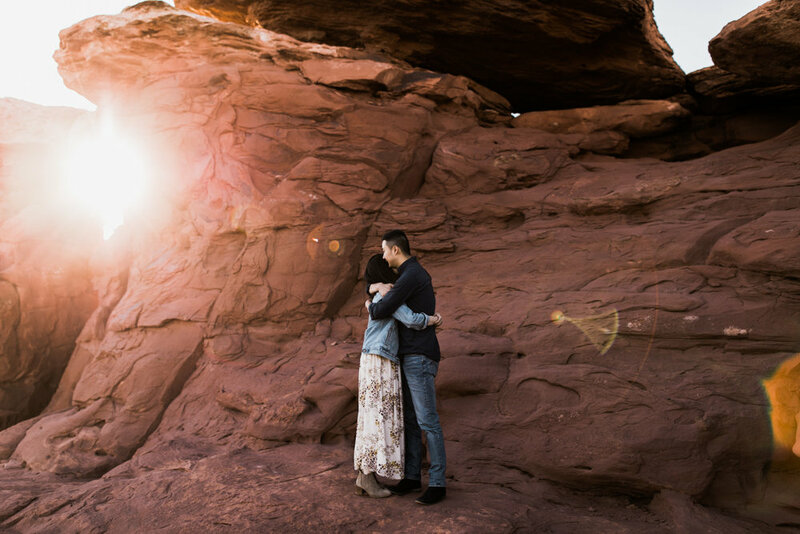 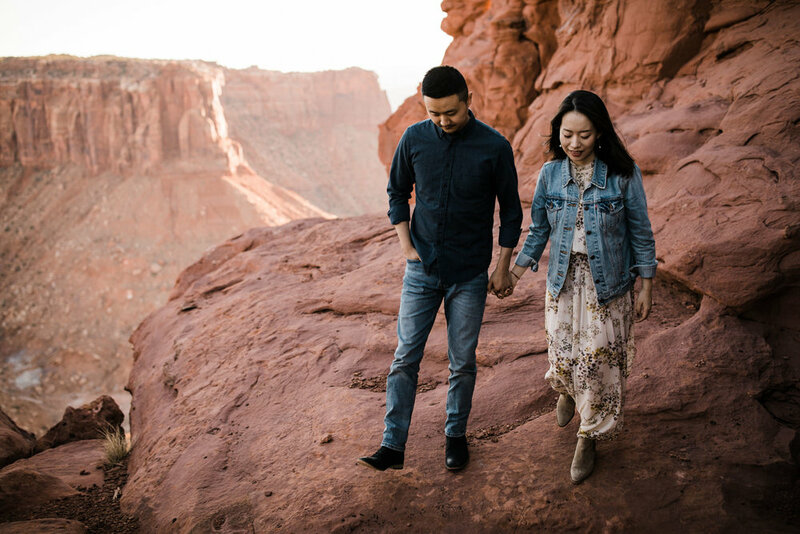 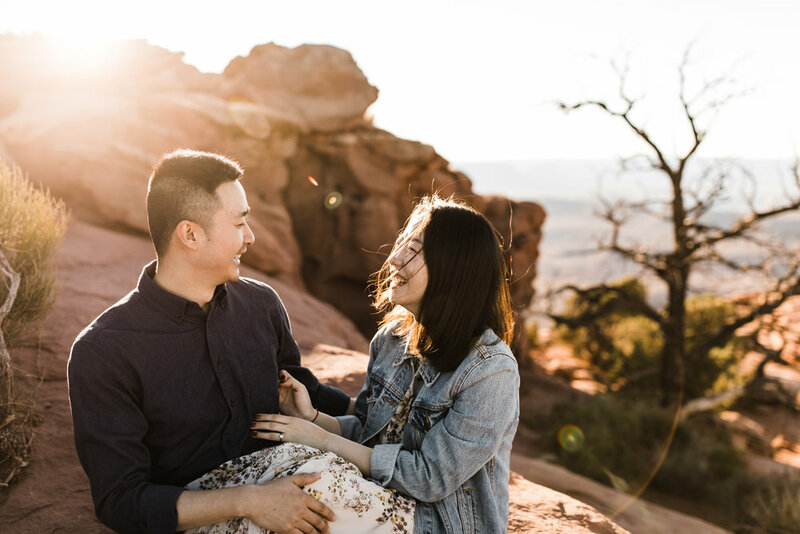 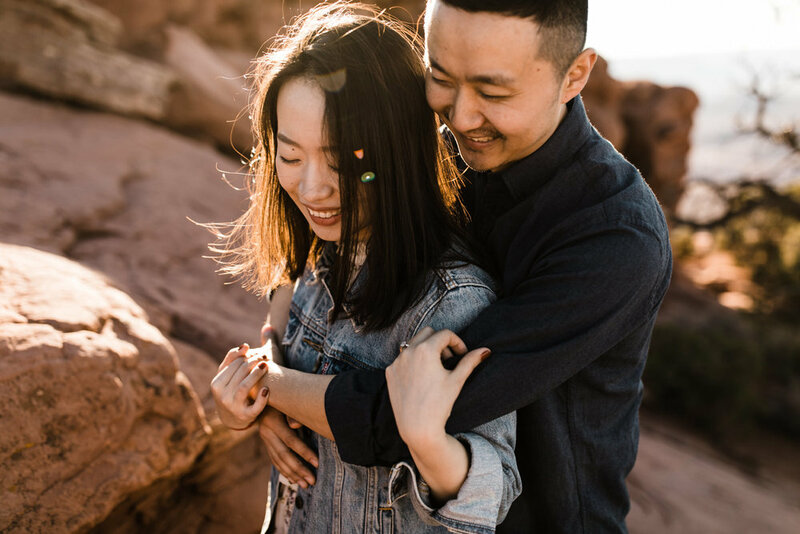 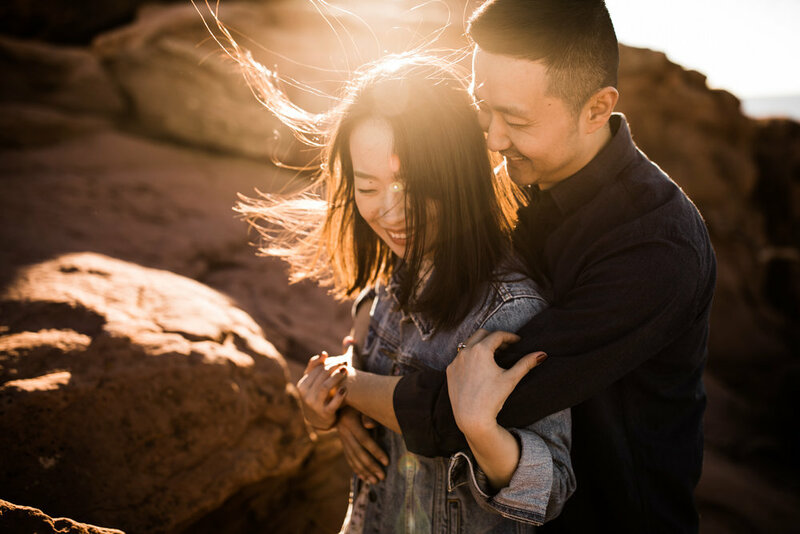 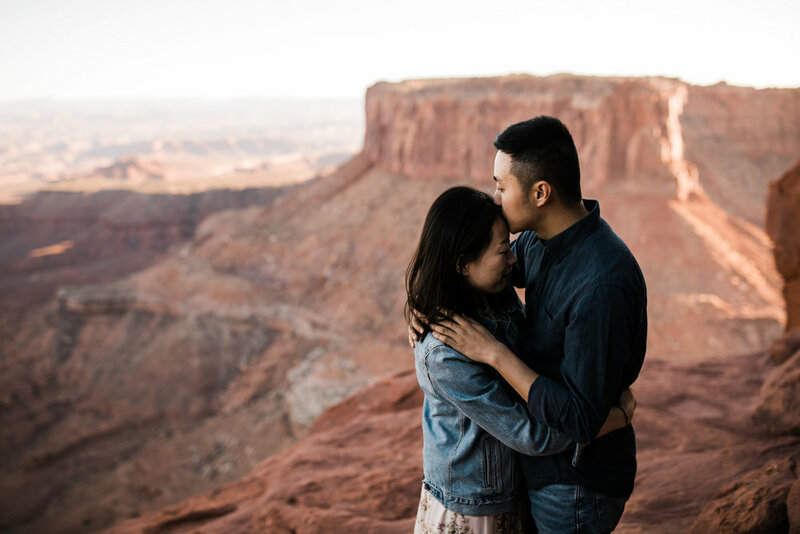 We started their session with a super beautiful hike around the rim of the mesa and made our way back braving the intense winds and taking in some amazing views. 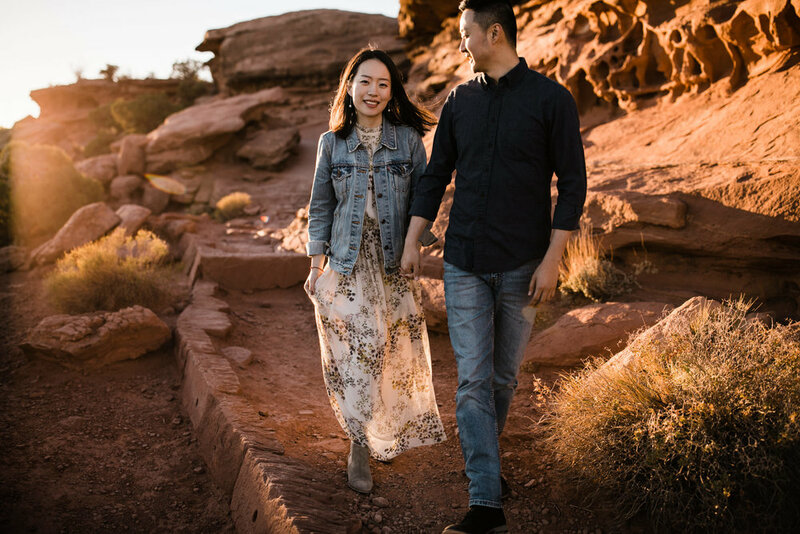 We had so much fun exploring this corner of the Utah desert with them, chatting about everything from where we grew up to what we do with our free time. 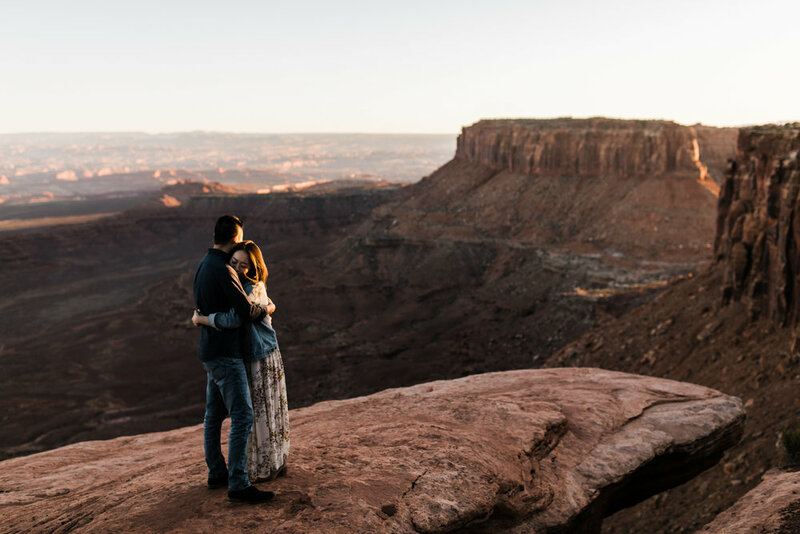 By the time the sun was setting, they were in love with the Moab too! 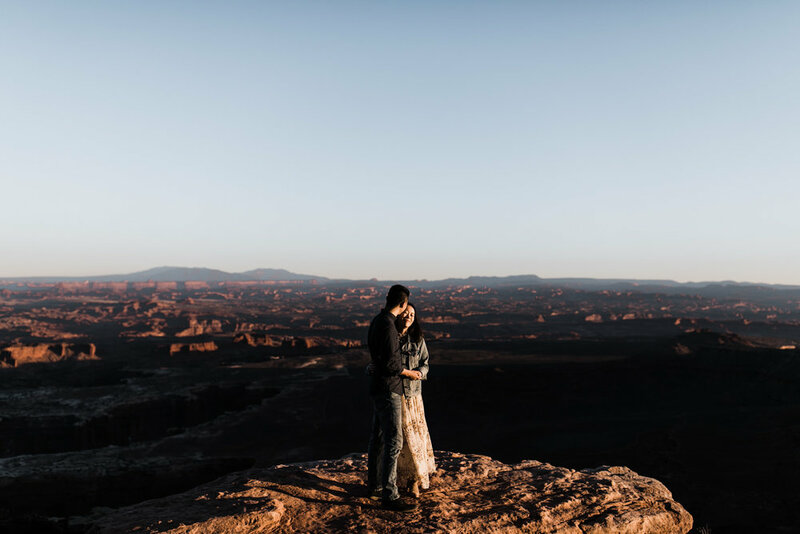 We shot until the light was completely gone and the la sal mountains in the distance were just barely pink. 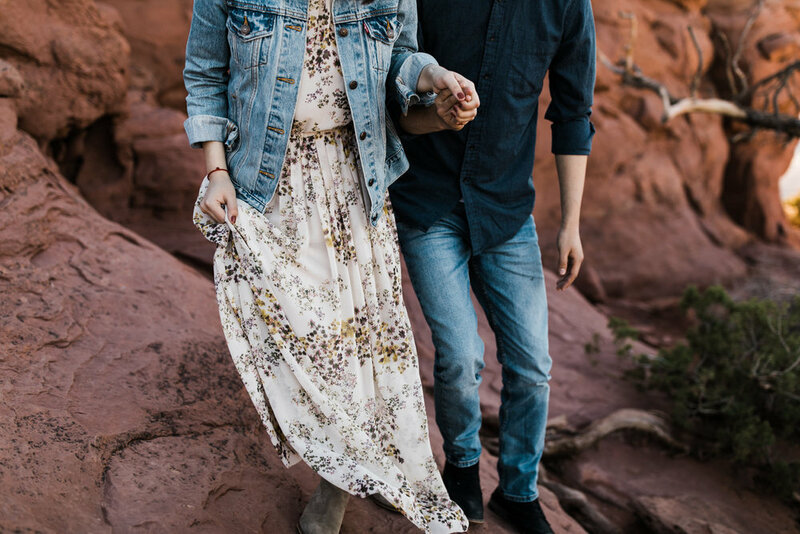 We had so much fun getting to know these two!